The Frame surrounds the viewable screen area, remaining just out of sight until activated. This persistent UI element provides useful functionality and information across activities and zoom levels, including info about people in a collaboration, places and activities, objects on the clipboard, and both internal and external devices. Just for fun, I juxtaposed this new Sugar UI with Alexandre Van de Sande's Aquatic Sugar: The Children's Interface, Translated for Adults on the OLPC News Sugar Forum and had an interesting response. Currently three people are payed for working on Sugar: Marco (half-time, payed by Red Hat), Simon and me. We are in the process of hiring one more full-time developer, ideally based in Cambridge. Marco maintains sugar-base, sugar-toolkit, sugar, artwork, hulahop, and maybe something else. Simon maintains Browse. I maintain the Journal and, as OLPC hasn't hired nobody for this, the datastore. Technical decisions are taken in committee, with the participation of members from the community and other OLPC people. The roadmap and strategy is given by Kim, who normally asks for the participation of several members of OLPC. Last time I was told, Walter and Kim would work together and decide how the tech team could better answer the needs from pilots and deployments at every release. This is not a formula for successfully implementing what amounts to a ground up re-imagining of how you interact with your computer. Sugar is comparable in scope to the iPhone OS. How many people do you think are working on that? More than Red Hat's Global Desktop, according to its recent announcement, which is doubly sad. Global Desktop was to share about 95 per cent of the code from Sugar and come bundled with applications such as Firefox and OpenOffice, perfectly positioned for 4P Computing in the emerging market. Now, with it delayed yet again, Red Hat may loose what's left of its commitment to One Laptop Per Child. That and allow Microsoft to gain more market share, even on the XO. Such a loss almost makes me miss Christopher Blizzard. Sounds like another call for the new OLPC leadership to add software OS to their list of tasks to re-evaluate. I find it interesting tha NN doesn't champion the OS like he should. I think looking at Mozilla, as a non-profit they got one thing very right. And I honestly don't have the details, but the bundling of the Google Search toolbar in the upper right of Firefox "supposedly" funds almost all of Mozilla. Sugar could use a little of that success. It does seem crazy to have such a small team for a user interface that is supposed to support every child in the non-first-world. It is not a recipe for success. That is why I suggested earlier that Sugar developments were a waste of time. You cannot do any meaningful development of this kind with 3 people. Maybe that is why we are still waiting for Update 1. Is there anyone working on kernel development at all (e.g. power management) ??? At this speed we will have power management on our G1G1 laptops in 2050. Grrrrr. A simple Xfce base + popular applications (Gnumeric/Abiword/Firefox/Evince) + some collaboration features as plugins could have been done with this number of people not a completely new desktop GUI + a lot of heavily forked applications. Who will maintain these forked apps (e.g. Read <-- Abiword)??? Without forking, the XO could have received newer versions of Abiword later on. This way, it won't. 1. A small development team is more likely to succeed than a large one, especially if the project is relatively small. (E.g. : CP/M versus Windows Vista) Though I think management would do best by getting out of the way. 2. Scrapping Sugar in favor of [insert your favorite operating system / kernel / application suite here] is a game played by people who don't code for a living. ANY working (or even partially working) operating system is more valuable that lots of impossible-for-a-novice-to-install choices. And I predict that it WON'T be easy to graft in the peer-sharing capabilities onto a more traditional linux distro. 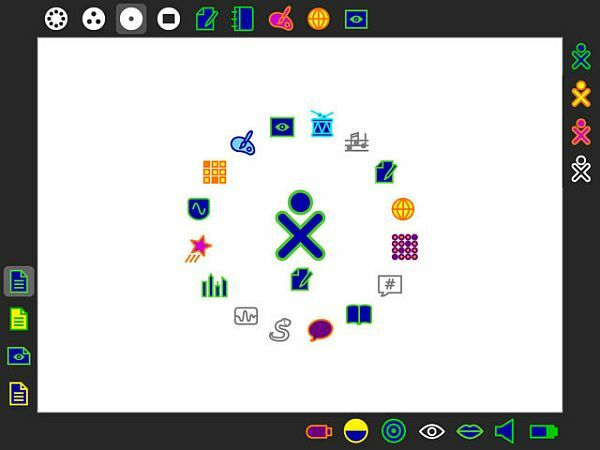 YOU might not care; you probably have never seen another XO icon in your world view, but that feature is one of the better ideas for a capability in an educational product. 3. This degree of negativity can only de-motivate the three programmers who ARE working on the project. If you think the team's too small and have the programming skills, why not offer to help, gratis? I agree that three (and a half) well motivated develoeprs can accomplish a lot. They just have to keep their goals realistic and build it in such a way that they can have outside help. OLPC is serving academia, not only there are more than half a million kids using there are multiple teachers and computer science graduates that are in some way or another involved with it. If Sugar can be extended by the use of small plugins, then it can grow faster than what those three musketeers can achieve. "Sounds like another call for the new OLPC leadership to add software OS to their list of tasks to re-evaluate." Sugar is a gui, not an OS, and it runs on Linux. As for promotion, Sugar has gotten a ton of attention. Do a google search on "xo sugar" and you get 449,000 hits. "It does seem crazy to have such a small team for a user interface that is supposed to support every child in the non-first-world. It is not a recipe for success." I think all those who share this opinion would benefit from reading "The Mythical Man-Month: Essays on Software Engineering", a book on software project management by Fred Brooks. Adding people to a project that is late will make it later. Btw, the number of programmers is a bad measure. The general experience is that programmer productivity varies by two orders of magnitude (eg, scale 1-100). There are people who churn out in weeks what others do in years. For instance, when Linus Torvalds had to replace Bitkeeper, a product developed by a dozen people over years, he was up and running with Git in a matter of weeks. And Git is considered better than Bitkeeper (or any other version system). I worked as a software developer for many years and I read extensively, but thanks for the advice and information. I say nothing against the programmers, but 2.5 programmers on something like Sugar shows a lack of commitment by OLPC management. I'll bet you a hot fudge sundae that the programmer would have welcomed additional help. "I'll bet you a hot fudge sundae that the programmer would have welcomed additional help." That goes without question. But too many cooks ruin a dish. @Eduardo - Good poing on the OS vs. GUI designation, my mistake. I think the software interface and developers need even more attention. Think of it this way, there are less Google results than the "millions" this interface should reach. I don't think Google results are the only measure. Street Cred is less measureable but very important. We want Sugar GUI to be reverse ported to other devices to prove it can be done. That's when devs get excited. Not the only time, but getting more people involved at lower levels would increase the overall footprint. What Sugar needs is basic usability testing. The laptop is slow, which it fine. But the OS is lacking in basic things like "put up a spinning beach ball/hour glass while you wait". Since there is no real confirmation that you indeed made a valid action and it lacks external indicators like a flashing hard drive light, you are more inclined to just keep clicking on icons because you think it didn't "get" the first click. When I made a comment to a friend about the lack of a hourglass, they told me "but these people dont understand what that means". Hogwash. Everything is a metaphor on the computer.. they could display a barking dog while the computer is busy, they just need *something*. I get this feeling that "these people have never seen a computer before and don't understand our computer paradigms" is really a cop out and an excuse to just dish out any old user interface. On systems that will be used by people unfamiliar with computers, it is even more important to pay attention to simple usability principles, not less. In the hole in the wall experiment they put a windows pc behind glass in a slum neighborhood. It had a controller for the mouse and nothing else, no instructions, nothing. Within a day they figured out you use the "needle" to point to something and waited until "Shiva's drum" disappeared. No offense to the Hole-in-the-Wall experiment, which has been quite interesting (if oversold by many who haven't actually been involved with the project), but something as simple as the fact that kids moved a mouse to cause something to disappear on a screen has only a very tenuous relevance to how the XO is actually meant to be used a core tool for learning. Conceptually, the point that kids can learn (something) by independent exploration is understood by pretty much everyone, I would think. And this is after all at the core of the OLPC 'philosophy', as it were. But a disregard for (and indifference to) usability testing is a recipe for disaster. CRK's comments are spot on imho. does anyone remember when Palm Inc came out with the Palm Pilot? Where were all of you complaining that it was not Windows? 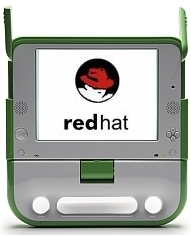 They had a new desktop for this handheld computer and new ways to get from one application to the next and even new ways to store things you created like text memos and todo lists. Where were the complainers then and why do they all come out now for the Sugar interface on the XO? Sugar is just a new way to do some really innovative things which are part of the design of what the device is for, learning. It may have some warts right now but it is designed to be way more than the PC desktop metaphor you've become comfortable with in Microsoft Windows. I'm no expert yet on Sugar but from my familiarity of it, Sugar is a number of things. Sugar is a task/application/activity launcher. Sugar is a programming interface to help developers build collaborative tasks/apps/activities. Sugar is a means of organizing in chronological order the activities used in the learning process, think homework, by means of the Journal. And Sugar is a means of visualizing your virtual neighborhood with whom you are sharing, exploring, and interacting with. Sugar is much more but these are what I see as the big tools Sugar is being designed to provide and all the while it is not trying to be a standard desktop application launcher like Windows Explorer, KDE, Gnome, or what the Mac OSX desktop is called. The XO should not be looked at as a laptop even though the word is in the name of the organization. It is more like the Palm Pilot in that it is a device designed to provide educational tools for primary grade children using a unique application metaphor to simplify the workings of the computer so the kids can easily do the things it was designed for. Again, starting a learning task( activity ), sharing some of that with others using similar devices, having the ability to go back to the activity as you left it so you can complete it or add to it( the journal ). And try to make creating activities which do all these thing as easy a possible for developers. This is a Speak-N-Spell on steroids and not a Desktop computer for general purpose computing. It is for learning and learning to learn. It is not about learning to click buttons on a computer adults use. The kids can figure that out when they get older and if they have the opportunity to gain access to a more expensive and general purpose computer with all that brings, good and bad. Speak-N-Spell on steroids, that what the XO is.